It was an evening in March 1930, and a crowd had gathered at a prestigious gallery in the United States. On one wall were works by Paul Cezanne and on another works by Seurat, Segonzac and Derain. On that evening, this was the center of the art trade in a world thrust into economic depression. And the world’s modern masterpieces were on display. And they were for sale. All of them. 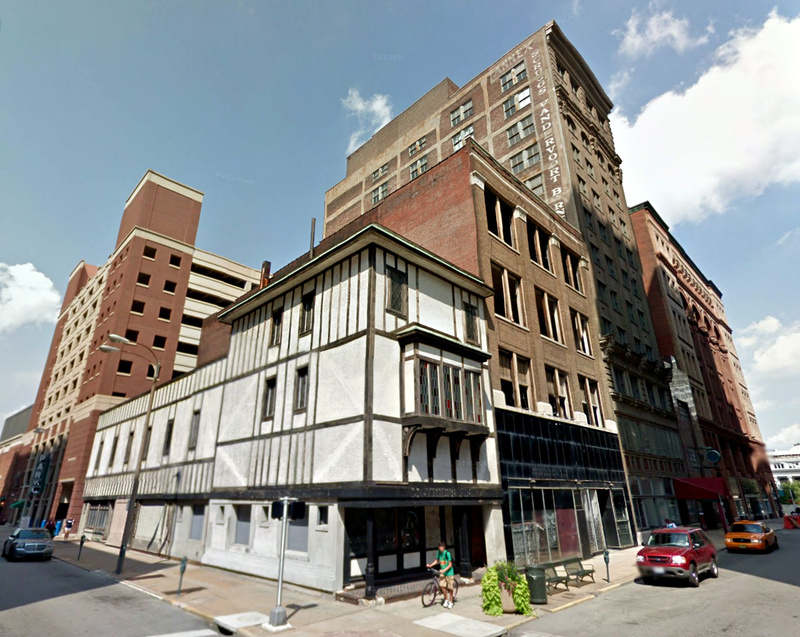 The location was at the northeast corner of Locust and Tenth Streets in downtown St. Louis. Art dealer Arthur A. Kocian stood watch as collectors and gawkers eyed the paintings that hung at the Noonan-Kocian Art Company, 923 Locust Street. It was a significant year for Arthur Kocian. For twelve years, he had served as Secretary of the Commission to Decorate the Capitol in Jefferson City, and in 1930 he was awarded the first ever bronze medal by the American Art Dealers’ Association “for distinguished service to American art”. Kocian had been editor of The Art Review (“Dedicated to the Interest of Contemporary Art”) for three years as a young man, and in 1924, the St. Louis Globe Democrat had listed Kocian as one of the city’s forty-five most eligible bachelors. By 1930, the Noonan-Kocian Gallery was legendary. This was where the St. Louis Art Museum purchased pieces for its collection, including Rembrandt van Rijn’s Landscape with a Cottage in 1913. 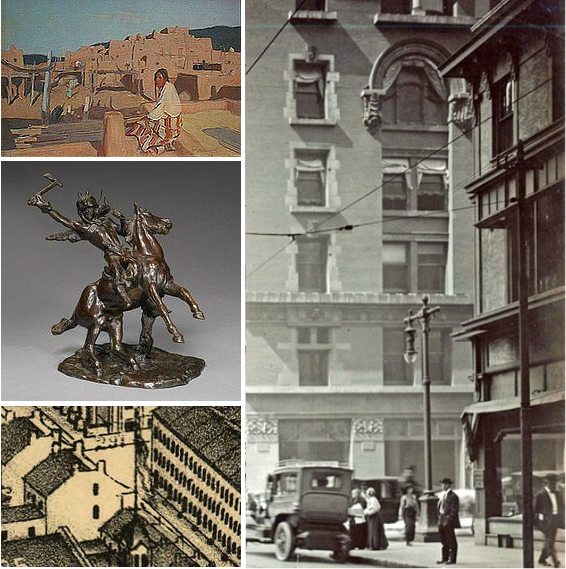 In 1914, the Noonan Gallery was the St. Louis agent for the Panama Pacific Exhibition and handled fine art objects to be displayed in San Francisco the following year. Childe Hassam exhibited half a dozen paintings here in 1907. It was at Noonan-Kocian on November 23, 1903 that the famed American painter and sculptor Charles M. Russell—a St. Louis native—had his very first solo exhibition. On account of this publicity, Russell had four of his works on display the next year at the Louisiana Purchase Exposition. According to the US State Department, Taos Society of Artists founding member Oscar Berninghaus had his first exhibition at Noonan-Kocian in 1908, and the gallery continued showing his works throughout his lifetime. Kocian promoted the Taos Society artists with regular exhibits beginning in 1918. By 1911, Arthur Kocian was working with architect John D. Paulus to construct a new space at 923 Locust. 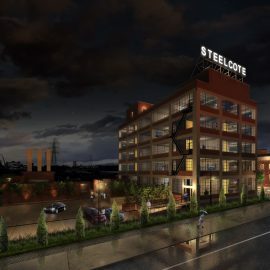 Noonan-Kocian would spend $10,000 on alterations to the existing three-story structure they would lease at Tenth and Locust, moving the gallery there in 1912. It was a substantial investment in a day when $5,000 could build a large brick four-square and $10,000 could build a small Carnegie library. Previously, Paulus had designed the Castle Ballroom at 2839 Olive (also endangered) in 1908. In his design, Paulus rebuilt much of the earlier 1897 building, a structure that itself may even have been the altered remains of an earlier antebellum house. To this day, despite its multiple alterations and recladdings, the building at 923 Locust maintains the same envelope as the house pictured on this site in the 1875 Compton & Dry Pictorial St. Louis. 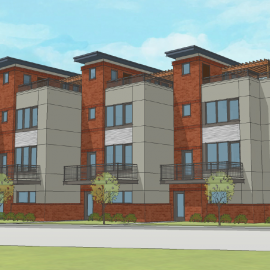 At that time, a three story house—already dwarfed by its newer commercial neighbors—fronted the sidewalk on Locust, with a two-story addition continuing along Tenth Street. Central to Noonan-Kocian’s premier role in the American art trade was Arthur Kocian’s friendship with Paris art dealer Paul Durand-Ruel, arguably the world’s most famous art dealer and the person credited with establishing the market for impressionism in Europe and the United States. While Europeans appreciated art, Durand-Ruel saw that Americans actually bought art, and so he kept a steady supply line of pieces heading across the Atlantic to St. Louis… especially the work of French impressionist Claude Monet. 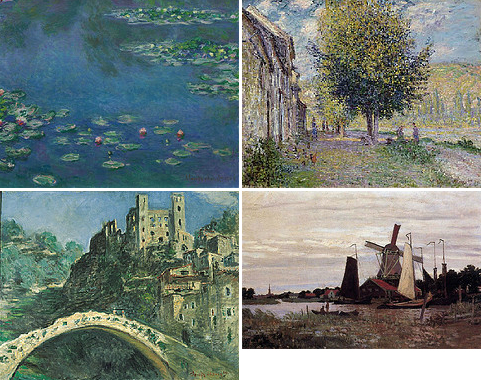 The Noonan-Kocian Gallery of St. Louis is listed on the permanent provenance of numerous pieces by Monet. According to Christie’s, Monet’s Le Palais Contarini exhibited in the Noonan-Kocian gallery at 923 Locust in November 1915. Monet’s Chemin exhibited there in November 1916. As listed by the Metropolitan Museum of Art, Monet’s Île aux Orties near Vernon had hung at Tenth and Locust in 1914. 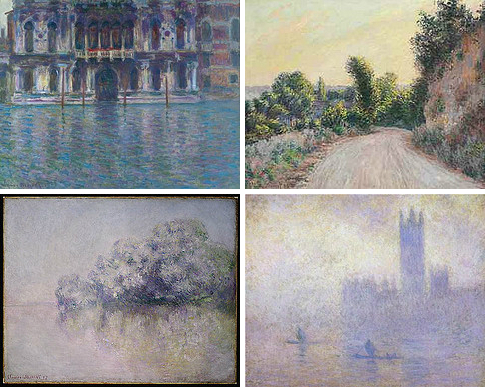 Claude Monet’s Houses of Parliament (Effect of Fog) had exhibited at Noonan-Kocian in 1911-12, and that show was only the painting’s second public exhibit—and its first outside of France. Chicago. According to Sotheby’s, Monet’s Un Moulin à Zandaam hung at Noonan-Kocian in 1925. 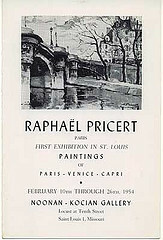 Noonan-Kocian exhibited Monet’s Dolceacqua in St. Louis in 1922, the painting’s second public exhibit anywhere. Monet’s Berge de la Seine à Lavacourt had its first public exhibition ever in 1914, and that show was a joint venture between Boston’s Brooks Reed Gallery and Noonan-Kocian in St. Louis. The provenance and exhibition history of artwork is only now being digitized and posted online. We won’t know for several decades all the artwork that passed through that little building at 923 Locust. We know about Ernest L. Blumenschein exhibits. We know that the work of Robert Fulton, Joseph Vorst and Frederick Judd Waugh hung on these walls. We know that nineteenth century American landscape painter George Innes was exhibited there in 1925, and Edith Bry—a St. Louis native—had her first one-person exhibition there in 1935. Late in the gallery’s life, while Noonan-Kocian Art Company remained a player in the business, Chicago and the coastal cities were already beginning to overtake St. Louis as centers for the art trade. In 1946, Arthur Kocian moved his gallery space diagonally across the intersection to 1000 Locust to the space that today houses Left Bank Books. Well into the next decade, though, the gallery continued to rent the second floor of the building at 923 Locust, a building which suffered the unfortunate addition in 1946 of a modern storefront facing Locust. A 1955 photograph shows the second floor display window still filled with framed paintings and prints. 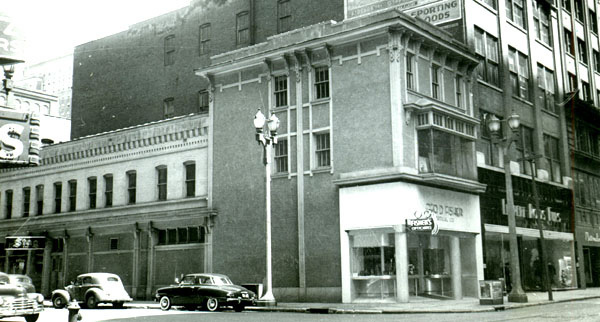 Fisher’s Opticians would inhabit the first floor of 923 Locust for the next twenty years. 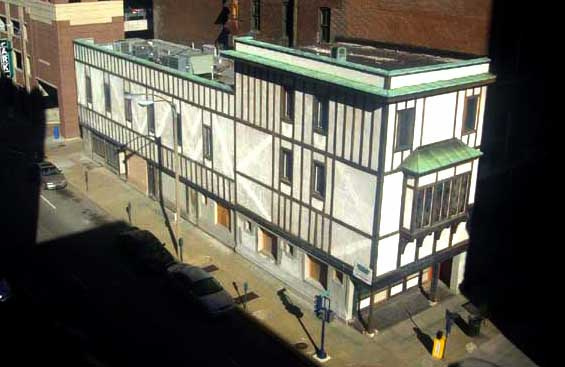 In 1966, the Bommarito family opened The Fatted Calf in the old Noonan space at 923 Locust, covering the entire structure with the faux English Tudor cladding that clings to the building—crumbling—today. Tony Bommarito cooked in those early years while Vince Bommarito took orders and Kim Tucci worked the cash register. They served cheeseburgers and French fries in a space St. Louis was already starting to forget. Walls that now held up menus decades earlier had held up Monet and Berninghaus, Cezanne and Seurat, Segonzac, Rembrandt and Derain. 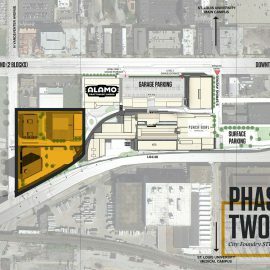 Today, the building is threatened with demolition. 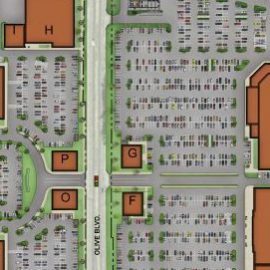 It has not yet been listed on the National Register of Historic Places. On January 9, 1950, Arthur A. Kocian died suddenly of a heart attack in his shop at the age of 74, the last of the original partners to run the business. His United Press obituary ran in newspapers across America, announcing that “one of the best known art critics and dealers in the nation” had died. He had lived at the Gatesworth Hotel—today’s Westmoreland—at 245 Union Blvd. He had never married and left no descendants. Arthur’s father Joseph Kocian had died in 1914. Justin Noonan had died in 1903. Family members continued to operate the gallery until 1971, moving up the block to 506 N. Tenth Street in 1958.But the heyday of the art trade in St. Louis would always be those decades from 1912 to 1946 at 923 Locust Street. Those were the years when St. Louis was one of the largest and richest cities, a city to which the world came for business and art and for the business of art. The American Magazine of Art, Volume 21, American Federation of Arts, 1930, p. 229. St. Louis Globe Democrat, February 10, 1924. Peter H. Hassrick, Charles M. Russell (New York: 1989), 79. Mercantile Advancement Company, St. Louis: Queen of the West (St. Louis, 1899), 175-6. 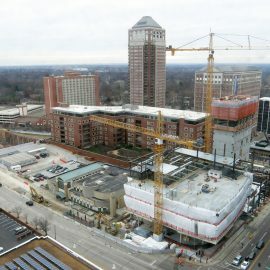 Construction NewsVol. 34, July 1912. Peter Hassrick, In contemporary Rhythm: The Art of Ernest L. Blumenschein (Norman, OK: 2008), 174. St. LouisMagazine, August 15, 2012. http://www.stlmag.com/St-Louis-Magazine/August-2012/A-Conversation-with-Vince-Bommarito-Sr/. Greg Johnson (PhD, St. Louis University, 2007) is Associate Pastor of Memorial Presbyterian Church and a 16-year resident of St. Louis City. He is better known on nextSTL.com as ‘Presbyterian’.